By now, it's possible that you are completely fatigued by the August 21st total solar eclipse and all the media hype surrounding it -- and it hasn't even happened yet. It seems as though every outlet is talking nonstop about this event. But this actually is a big deal, which is why it's gotten so much coverage. Let us break it down for you; this is one of those rare cases where the actual event is worth all the hype around it. Total solar eclipses occur when the moon moves between our planet and the sun, and our satellite casts its shadow on the Earth. The moon appears to fully block out the sun, which only happens because of a remarkable coincidence. The moon is 400 times smaller than the sun, but the sun's distance from us is 400 times that of the Earth to the Moon, so they appear to be the same size in our sky. Therefore, during a total solar eclipse, the moon completely blocks out the sun and the star's corona (the surrounding halo) is visible. These events don't occur often; they happen roughly every one and a half years somewhere on Earth (often in difficult-to-reach places such as the middle of an ocean or Antarctica). But it's usually rare to see them more than once in the same location in a short period of time. There hasn't been a total solar eclipse viewable from the continental United States since the 1970s. An event on February 26th, 1979 covered Washington, Oregon, Idaho, Montana and North Dakota, but it was a pretty cloudy day. The last eclipse most people remember seeing was on March 3rd, 1970. The path of totality (or where the moon fully covers the sun) traveled up the Eastern seaboard of the United States, from Florida through Virginia. But why has this solar eclipse gotten so much coverage? There are a few reasons. First, it hasn't happened in 40 years in the US. That alone is enough to get people excited. Second, it travels a path that barrels across the country, from Oregon to South Carolina. Third, what happens during a total solar eclipse is, quite frankly, cool. As the moon begins to cover the sun, the star will become a crescent. You can watch this process through eclipse glasses (do not try to watch through sunglasses or unprotected eyes). It takes a long time, about an hour and a half, for the moon to fully obscure the sun, but when it does, you'll experience totality. Day will instantly become night, as if a curtain has dropped over the Earth. The temperature will drop 10 to 15 degrees F. The stars and planets will come out. Animals and insects will act as though night has come. The sun's corona (the fiery halo around the star) will be visible to the naked eye. It will only last for roughly two minutes, but it's such an incredible, once-in-a-lifetime experience that people have taken to chasing solar eclipses all around the world. This one just happens to be right in our backyard. If you're reading this and lamenting the fact that you won't be in the path of totality during the 2017 eclipse, never fear. There's another total solar eclipse occurring in the US on April 8th, 2024. (This explains why so many of us are amused that people have taken to calling this "The Eclipse of the Century" and "The Great American Eclipse. No, it's really not.) It will cut a narrower arc across the country, traveling from Texas to New Hampshire. This will be just as spectacular of an event, and totality will last a bit longer that time around (four minutes at its peak). After that, you'll have to wait until 2045 for the next one to hit the US. If you're going to miss the 2024 eclipse as well but still want to see one, you'll have to travel to the middle of the Pacific Ocean (July 2nd, 2019), Chile and Argentina (December 14th, 2020), or Antarctica (December 4th, 2021). After that, the next major total eclipse to travel over land will be on August 2nd, 2027, mainly over northern Africa. If you aren't in the path of totality, but still want to follow along with the 2017 eclipse, we have a guide on how to do just that. 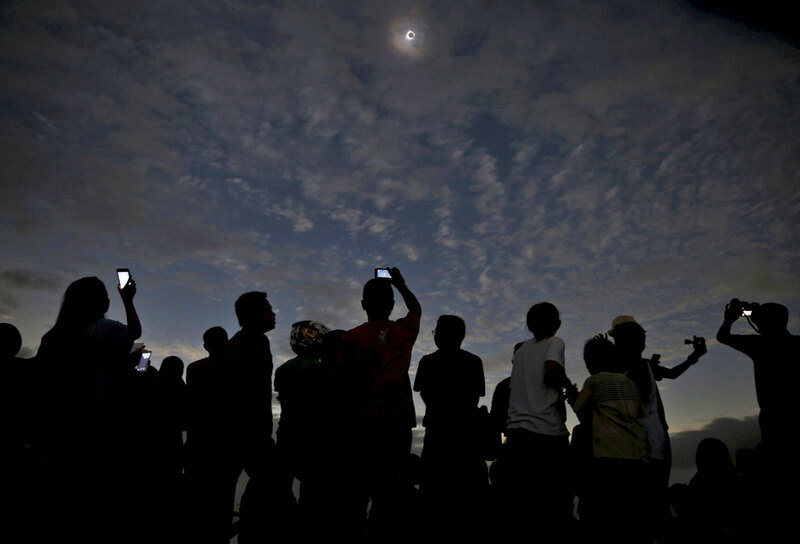 You may be able to view a partial eclipse from where you are (with proper glasses and filters, of course) or you can follow a livestream from one of many sources. The nonstop chatter surrounding the eclipse is a bit annoying, but even if the hype has made you jaded, it's not worth missing this genuinely cool event.